Kinesiology (K) tape: krap or kritical? – Is it healthful? Kinesiology (K) tape: krap or kritical? 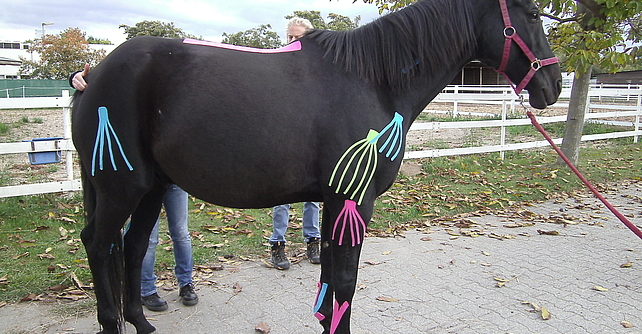 Over the past few years, we have seen kinesiology (K) tape bolstered to the buttocks of volleyballs players, trussed to the thighs of race horses and fixed to the faces of Youtube sensations. K tape is proposed to lift up the skin, which is thought to enable the lymphatic system and blood to flow more smoothly underneath. The theory sounds reasonable, but is it fact or unnecessary skin friction? Here’s the good news: K tape is better than minimal intervention – doing next to nothing. But the good news ends there, K tape fanatics, as it is no better than other treatment approaches to musculoskeletal pain. This includes treatments like massage and joint mobilisation (1). In fact a separate, good quality study reported K taping to be no better than sham taping (putting on normal tape without tension), or normal, rigid taping (the bad looking brown stuff we used to use) for improving pain and several measures of athletic performance (2). Okay, it’s not the best solution to your problem, but maybe it will stop a problem from developing better than other products. Maybe not! 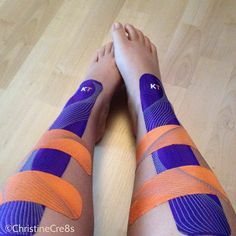 A systematic review – a study that pools together the results of several other studies – found K taping to be no better than other forms of taping in injury prevention (3). Yes. Well, it’s better than nothing at preventing injury and decreasing pain once an injury has been sustained. However, it’s no better than normal brown tape. Rigid brown tape costs AU$7 a roll whereas an equivalent roll of K tape will set you back a whopping AU$95 a roll. You decide! Our verdict: Slightly healthy, but a tremendous rip off! I hope this post has been healthful. Reblogged this on My Fitness Chronicle. It may only be slightly beneficial for injury prevention, but extremely beneficial when applied across the lips of an individual who doesn’t know when to shut up! I never used K tape in my practice, but am not opposed to the placebo effect. If athletes perform better or more confidently, I’m all for it. Sometimes scientific explanations aren’t necessary for utilization. Regardless, I still like to see the research. Haha yeah it’s really effective for that! I would agree with you RE the placebo effect; however, I’d be opting for rigid tape considering its similar efficacy (be it placebo or not) because it’s a lot cheaper and I am a cheapskate! $95 a roll?! Proof positive, a fool and his/her money are easily separated. Sheesh! Haha yep! $95 to look like a disco light – I’ll pass. It’s pretty cheap at Big 5 and it really helped my shin splints! I didn’t even know what my husband was doing when he put it on me, but it worked, so I’m not complaining. I don’t think it’s a fix all or right for all injuries, by any means, but I think it has its place…albeit limited. Thanks, Kristina. Yeah that’s true there are some cheaper brands. It does certainly have its role and if you can get it cheap why not. ← When should you foam roll?